Ewes with hay on those cold days! Do I miss teaching? 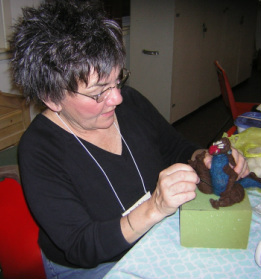 Yes, so I teach classes in needle felting, cl﻿ay, ribbed basketry & more! 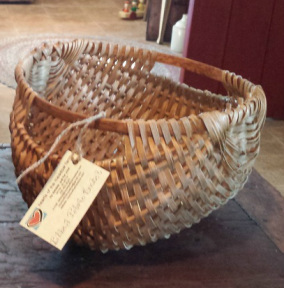 I teach felting at Cedar Lakes in Ripley with the Road Scholar Program and Ribbed Basketry - join us for a fantastic experience! Your creativity & imagination will let your work be endless - this is something that I taught my Art students, regardless of the grade level! Have confidence in yourself, it opens doors! 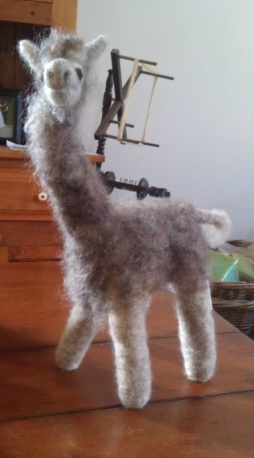 If you find interest in needle felting...you may find yourself "tangled in your work!" Needle felting gives YOU control! 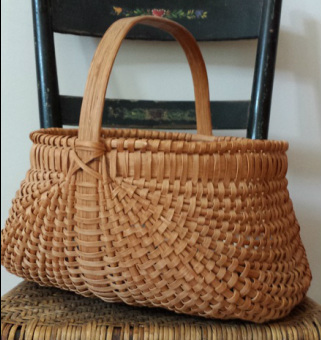 Ribbed basketry is a challenge but offers a hist﻿orical and/or functional use & beauty as well! All may be "mastered" if you have a positive attitude and the coffee does not stop!!! Cookie cutters are great templates! No kiln? 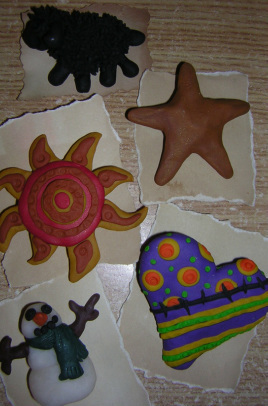 Fimo is an excellent polymer clay that is oven baked. 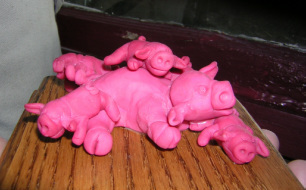 It is safe & an outstanding media to learn simple, basic sculpture - super for classes (all ages)! Learn & enjoy spinning....with coffee (or tea) & conversation! Join a fiber guild, learn how and then teach! 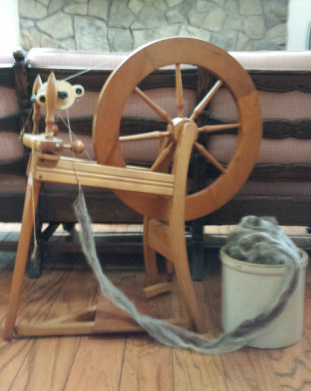 Spinning offers relaxation & homespun yarn! The options are endless, so be creative & have fun! How to get to the hills and hollars' of West Virginia.......... and to this farm! Call or email to get specific directions from your location - if you do not trust your GPS or mapquest!